Ellie activewear sends me a free box each month in exchange for a review. All thoughts are my own 100% red hot thoughts. Fit & Fierce was super comfy and it arrived faster than usual. I love when I receive Ellie Activewear boxes! It’s like Christmas arrives every month, and I get to mix and match the pieces with previous boxes and other styles I already own. It makes life easier when putting outfits together to go workout. After all, you’re going to relax and enjoy pushing yourself for a round of self-care. It’s going to be tough, and you want to feel your best. 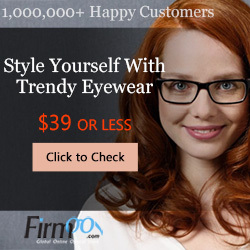 Why not want to look stylish, too? To see my monthly boxes before I post here, follow me on Instagram here. I also share behind-the-scenes insta stories when I’m shooting, so you can interact and ask me questions directly. Otherwise, I loved this look for more resistance training and yoga work on the mat. I think this look is great for high intensity workouts, but switch out this sports bra for another Ellie Activewear bra with more support for agile movement. Want to grab your box? Sign up here and visit my Treat Yourself page for more goodies.